This is an outstanding opportunity for your students to exhibit their artwork to the administrators and leaders of school districts from around the state. It is a great promotion of your program and can also serve as an advocacy tool. For details on how to apply and deadlines click the button here. ​It’s often said that every picture tells a story. Using any media or combination of media (digital media is not accepted), create an original work of art (not graphic design) to tell your story. It can be the story of your past and what brought you to today or a peak into your future and your dreams with the story of who you want to be. Let your creativity and your story shine. 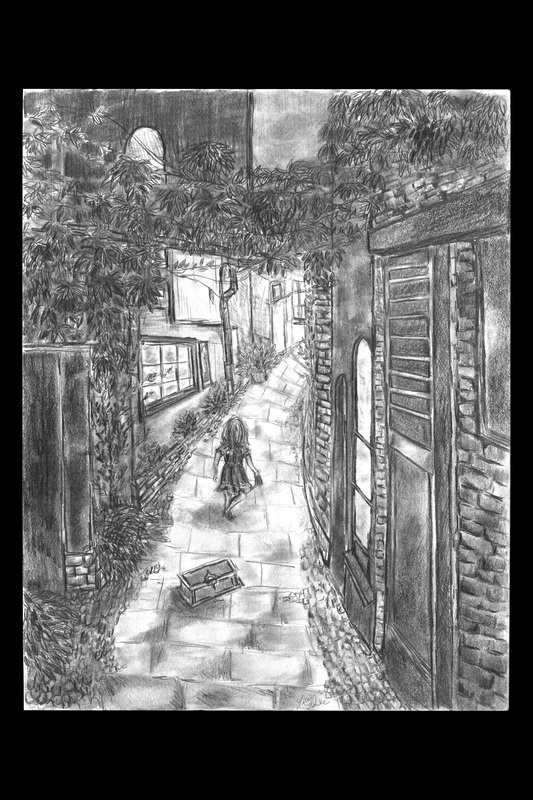 Congratulations to Joseph Ladewig of Merrill Area Public Schools for his imaginative pencil drawing. 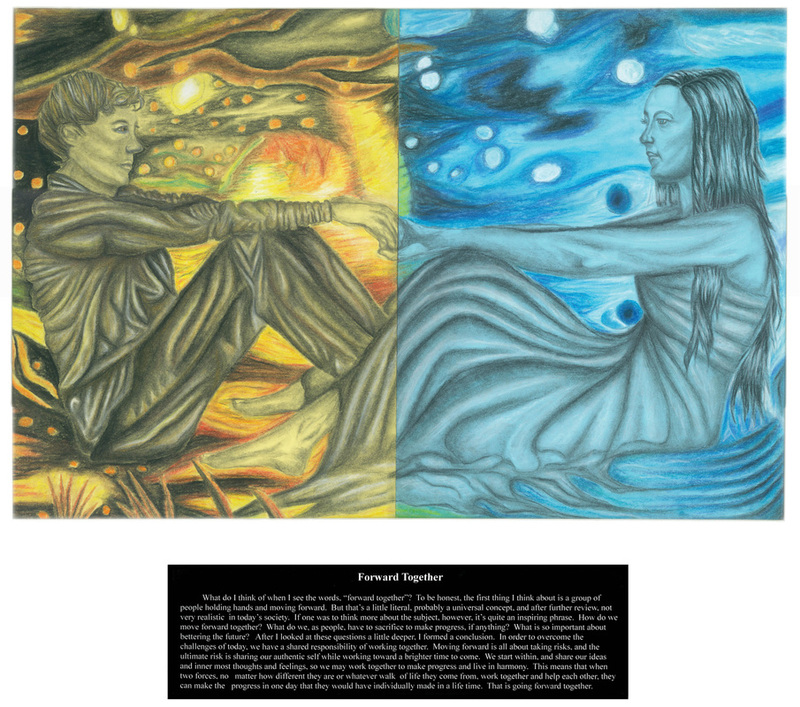 Joseph is in 12th grade and is taught art by Linda De Broux. 2016 WASB 1ST Place Award Winner Libby Feuker. ​I have always had an interest in Greek Mythology. When I read “Educating Hearts and Minds to Build Sustainable Communities and a Healthy Future”, I thought about the story of Pandora’s Box. In my piece, “Pandora” is depicted as a modern young girl. She is faced with the decision of opening the box. Her curiosity urges her to open it, but the knowledge she has gained from the book has given her insight on the consequences of opening the box. If she had opened the box all the evil would have been released into the world. She continues on with her life knowing her decision makes the world a better place and realizes that she, even just as one person can make a difference. My art work is of the moon covered partially by clouds with a planet in the distance. I created this art work, to show that, no matter how far away the moon and the planets you are, you can do the impossible. For example, no one ever thought we could go to the moon, they said it was impossible, but we did it; we went to the moon. Nothing is COMPLETELY impossible. Just a little time thought process and practice, you can inspire excellence. Just like when the people that went to the moon first tried to go to the moon, the rocket they went in was improved to be better every time they went to the moon.